“Our Muscle Rub No. 08 is a powerful soothing natural remedy for inflammation, bruising, muscle tension & soreness.” We now have a larger 8 oz. size and the smaller 2 oz. to take with you. Our Muscle Rub No. 08 is a powerful natural remedy for inflammation, bruising, muscle tension & soreness. A nutrient rich formula that works within minutes to nourish cells and promotes soothing relief for your hard working body. Specially formulated starting with Organic Aloe that contains enzymes to soothe and restore skin along with MSM that restores cellular permeability and helps to neutralize cellular acids that create inflammation in the first place. You will love our soothing anti-inflammatory spearmint blend! The active ingredients are synergistic and drive deep into tissues for relief from within. Amino acids nourish traumatized cells and eliminate the source of pain and discord. An excellent treatment alongside massage and offers soothing relief immediately. Muscle Rub No. 08 is unique with the addition of Arnica Montana combined with Vitamin E for superior effective bruise and scar treatment. Vitamin E has long been used in burn centers and in alternative treatments to facilitate proper healing of scars, while Arnica Montana is endorsed by sports coaches and doctors alike for its help in clearing and preventing bruising. In addition, our Muscle Rub No. 08 stands out in the crowd with anti-inflammatory, anti-microbial, anti-oxident and astringent properties from Spearmint Essential oil, Gotu Kola, Horsetail Extract and Wild Geranium. 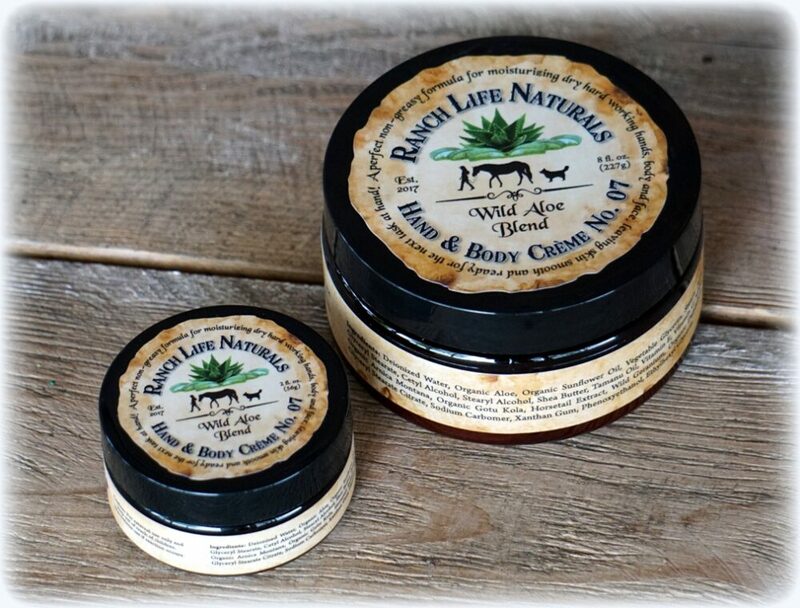 Ingredients: Deionized Water, Organic Aloe, Vitamin E, Spearmint Essential Oil, Menthol, Camphor, Clove Essential Oil, MSM, Organic Cayenne, Organic Gotu Kola, Horsetail Extract, Wild Geranium, Organic Dandelion, Organic Arnica Montana, Hydroxyethyl Ethylcellulose, Carrageenan, Potassium Sorbate, Sodium Benzoate, Ethylhexylglycerin. Directions for Use: Apply generously to any and all achy parts for relaxation of muscles, or to hands/feet/exposed skin for aromatherapy benefits. Allow to dry. Do not apply to open wounds and can be used multiple times per day. I can’t say enough about this muscle rub! After a hard days work, this feels so good on my arms and shoulders and I also put it on my feet. Highly recommend this product! This product has been a life saver for me. I use it on my back and it really helps with muscle pain. My husband uses it too . I like it much better than other similar products. I can’t say enough about this lifesaver! With non-stop Ranch chores, hunched over a keyboard at work, daily workouts at the gym-this is by far better than any other muscle relief product we have ever used. 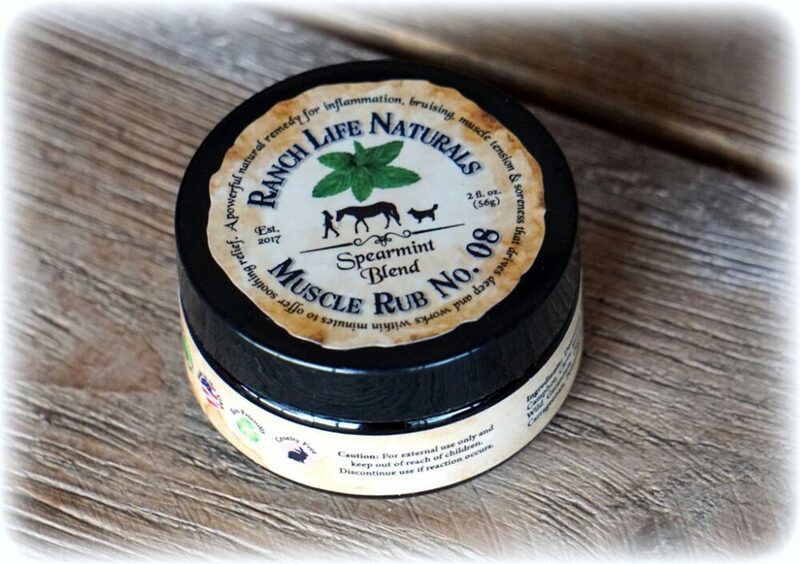 We have been using one referred to us by chiropractors for several years & this muscle rub was noticeable much better on the first try, it is now an entire family favorite. I initially wanted the muscle rub to have on hand for my horses. 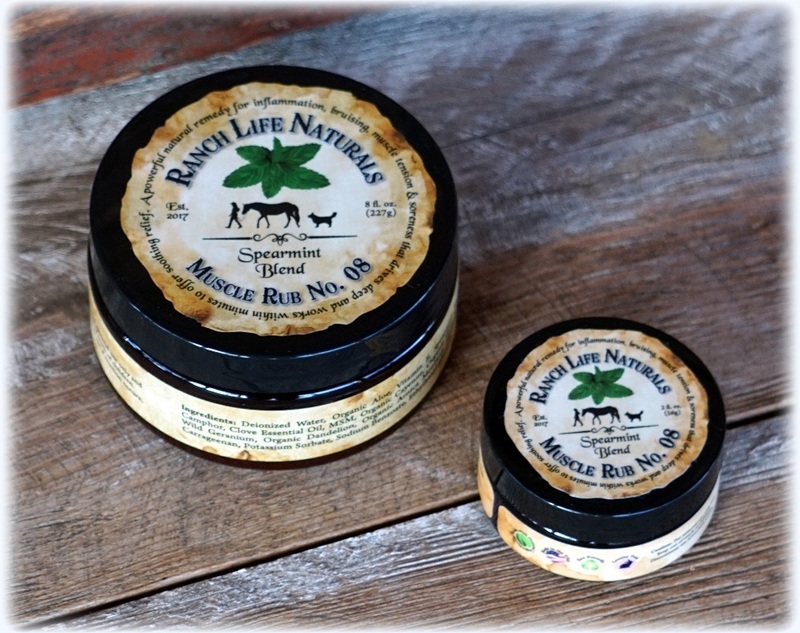 Recently Brian hurt his knee and after enduring various rubs & potions that stunk and did little to ease the pain I convinced him to try RLN muscle rub. He’s been so delighted with the relief it has given him while his injury heals. Best Muscle Rub Ever! Works deep, lasts long, non greasy, light spearmint scent dissipates quickly (I am very sensitive to any mint), doesn’t stain your clothes, a little goes a long way,…. I keep some with me Always. Just love this! I had some sore muscles and my Husband rubbed it in for me!! Thank you Sue!! Love the Muscle Rub #8. I had some sore muscles on my back and my Husband rubbed it in my skin. It totally did the trick!! Love the smell of Spearmint! !